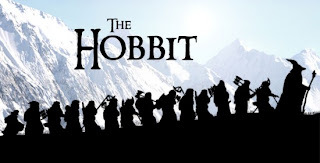 In a bizarre event in India, a recent college pass out's life turned awry after watching new Hollywood release 'The Hobbit'. The guy's age suddenly turned 42 from 22 years by the time the movie completed. "That's true," said Sakharam Lokhande, an eye witness serve Samosas in Mumbai's Wadala based IMAX Adlabs. He said "When the guy initially came to the theater, I saw him a fairly good, adventurous college dude with whistling and singing some good songs. However, by the time of interval when this guy came out of the picture hall to find out some snacks, he looked close to 32 years kind of guy. A big grew on his face and hair were little gray. He was having serious look on his face as like sucked bananas. And shockingly when the movie finished and he came out I saw half of his hair he lost and remaining half were gray. I was shocked." India Satire correspondent confirmed the event with theater manager. Theatre Manager of IMAX Adlabs, Sadashiv Tambe said "A guy whose name was Vicky Oberoi came to me after completing the movie. He said he saw a sudden rise in his age. He told us that the movie was so long that his age changed from 22 to 42. He also told that the fast frame rate of the movie also contributed to the rise in his age. He claimed a compensation for ruining his life. However, as we didn't have any such kind of compensation we told him that we are helpless and he should claim a charge on movie Director Peter Jackson. For some commiseration, we just returned his ticket fee." Tambe said "Such an event could have been stopped, if the Director gives some breaks after every 15 minutes. That Vicky Oberoi became Vikram Oberoi by the time of interval and Uncle Vikram by end of the movie. Sounds ridiculous." Movie analyst, Sachin Sharma said "These kinds of events are very rare and those have been witnessed in India last time when a grand epic 'Jodha Akbar' was released. In Hollywood, Lord of The Rings ruined many lives because of its length." When asked about the event, Bollywood Critic, Taran Adarsh said "As I think all the movies are at least 3 stars, I gave 3.5 stars to The Hobbit as the movie director has not separately met me. I only give 5 stars to Karan Johar directed movies." When India Satire correspondent said that he was not asking movie review but his views on Vicky Oberoi blunder, Taran Adarsh said "What is that? How can I tell you about it? I have never watched that movie." Vicky Oberoi confirmed that he made worst mistake of his life by watching 'The Hobbit'. "I thought it would have been a cool and funny movie. But now who will marry me. I can't even get back to my naughty age," said Vicky Oberoi. He also said that the life's tragedy is not going to end here and he would have to watch the next two movies, as The Hobbit – An Unexpected journey is the first part of the triology.